Some scholars think Frederick Jerome Work (1880-1942 wrote “Go Tell It On The Mountain.” Work was an African-American composer and scholar who collected and arranged spirituals, including this one in 1907. Other scholars believe slaves had been singing this American folk carol since at least the 1860’s, so Work could not have composed it. Whether Work wrote “Go Tell It On The Mountain” or found and preserved it, the Christmas song didn’t attain its current popularity until the mid-20th century. By then, jazz, blues and early rock’n roll had taken the U.S. by storm. The energetic, driving rhythm and lyrics of “Go Tell It On The Mountain” made it a favorite of young Americans. “Feared/ trembled/ rang/ hailed” draw us into the story. This isn’t a gentle White Christmas lullaby — this is an Action-Adventure. 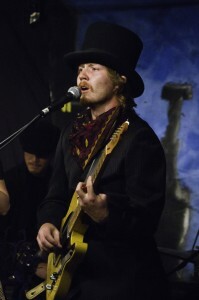 And the music keeps its end of the bargain, with a driving rhythm and rollicking melody. We also see some internal slant rhyme with “Rang/angels/hailed.” Good, tight writing. Not historically correct. 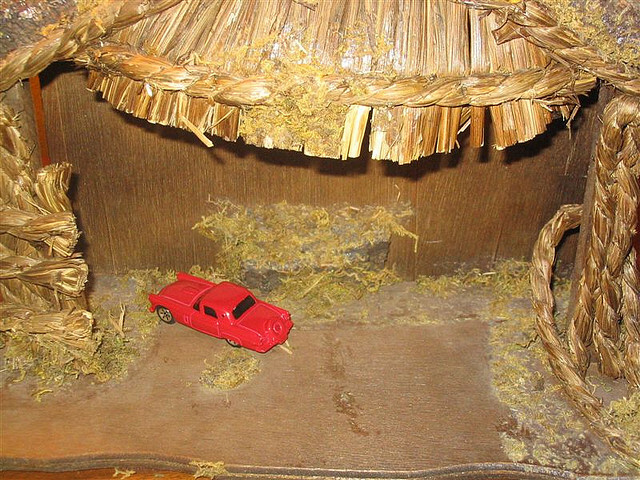 Archaelogists say there probably could not have been a red truck in the manger. Maybe a blue one. We reach the climax in the final verse: the end of our shepherds’ travels, the lowly manger, the humble Christ — our salvation, delivered on that blessed Christmas morn. When this writer uses an adjective, she or he uses it well. The humble Christ. We can use many adjectives to describe Christ, but “humble” is the best one for this setting: God the Son, present with the Father in creation, by whom all things were made and without whom nothing was made. King of heaven, now come as an infant. And not to a cradle of gold in a palace, but to a manger — a lowly manger. And when? On the blessed Christmas morn. The writer emphasizes the blessedness of this event, in which salvation comes down (“down,” the position of the “humble”). Every word works together to produce this writer’s desired effect. It gives these songs a different feel than that of Common Meter hymns like Amazing Grace and my song Let Your Blood Plead For Me, written with Mike Cosper and Jeremy Quillo, based on “Lord, How Secure My Conscience Was” by Isaac Watts. So you can give a song a different feel, just by something as simple as dropping one syllable off the odd-numbered lines and making the final syllable soft (this effect used to be called “Feminine” in poetry circles). In the case of Go Tell It On The Mountain, it helps make the Christmas spiritual exciting, assertive and fun. Previous post: Thanksgiving Day: Are You Thankful Like These People?